How would you describe your LETU experience? J.D. Claridge of Coeur d'Alene, Idaho, graduated in summer 2001 from LeTourneau University with an ASEL major. 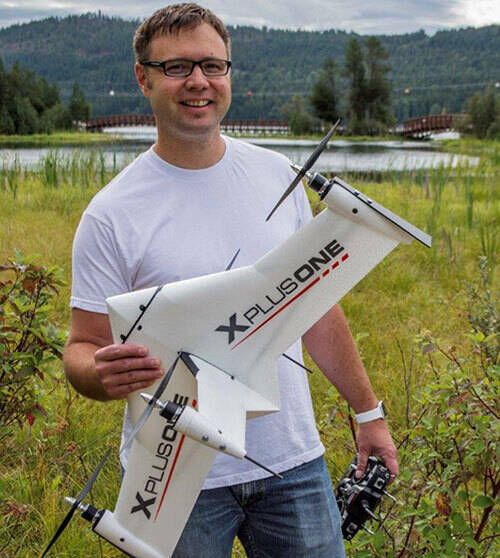 He is a founder of XCraft, a company that makes a drone aircraft that can take off and hover like a helicopter, as well as fly at high speeds. He said it was about five years from inception to having a marketable product. He and his partner Charles Manning were featured on ABC’s “Shark Tank” and hooked the interest of all five investors who offered $1.5 million for 20 % of the company after Claridge talked about the practical applications such as package or medication delivery, pipeline survey, and search and rescue applications.